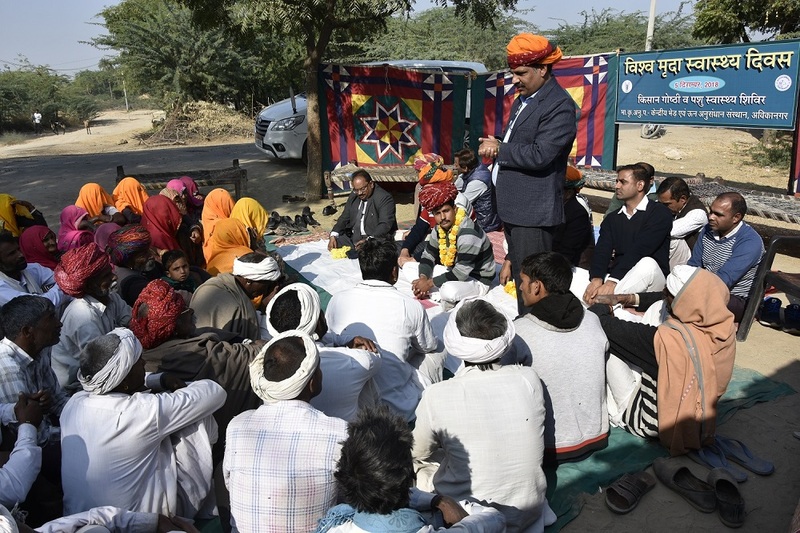 The World Soil Health Day was celebrated by ICAR-CSWRI, Avikanagar on 5th December 2018 at village Kerwalia, tehsil– Malpura.. At the occasion three programmes were organized by the institute viz. Kisan Gosthi, Health camp and collection of soil samples from farmers field for analysis. In Kisan Gosthi programme more than 80 farmers including 23 women participated and interacted with scientist of the institute. Director of the Institute, Dr. Arun Kumar elaborated the importance of soil health for sustaining the production in future and emphasized that application of fertilizers should be made only after knowing the fertility status of the soil. Dr. Rajendra Prasad, Director, Central Institute for Research on Cattle, Meerut was the Chief-guest at the occasion. He explained the ways to keep the soil productive and healthy by application of organic manures. He also narrated that soil health not only affects health of the plant but also human and animal health too. 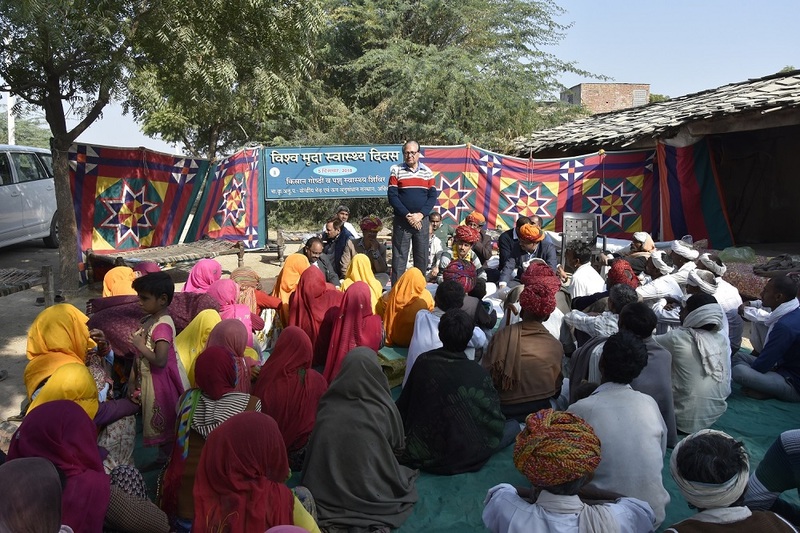 Other Agronomist of the institute Dr S C Sharma and Dr R L Meena exhorted farmers how organic carbon and microorganisms in the soil maintained its health over the period. 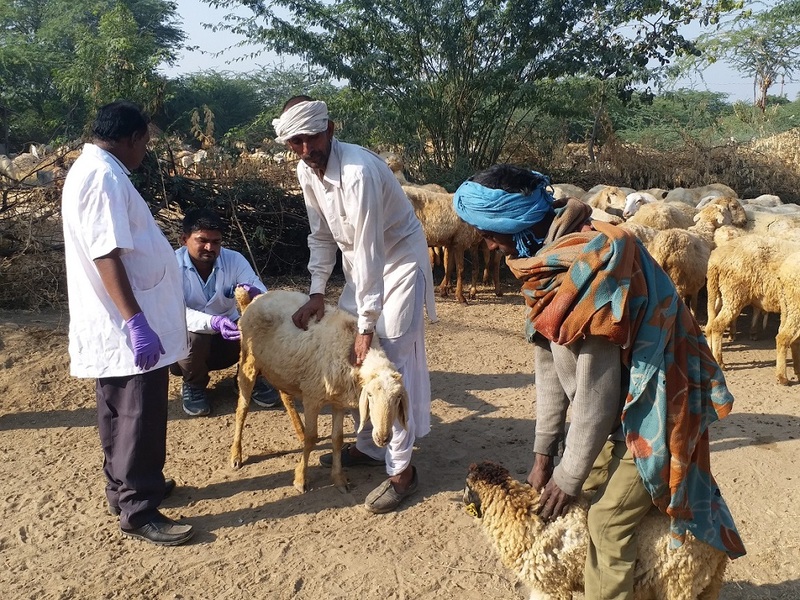 In the animal health camp, 14 sheep and goat flocks (900 animals), and 30 cattle and buffalos were examined and treated for different ailments. Farmers were also advised for sheep health issues. As a third event soil samples from farmer’s field were collected. A total of 30 samples were collected from 15 locations for the analysis. The reports of the sample would be available to farmer after laboratory analysis and recommendations will be made accordingly. Head of divisions, section incharges, Scientist and Technical officers of the institute were also present in these programmes to interact with farmers.